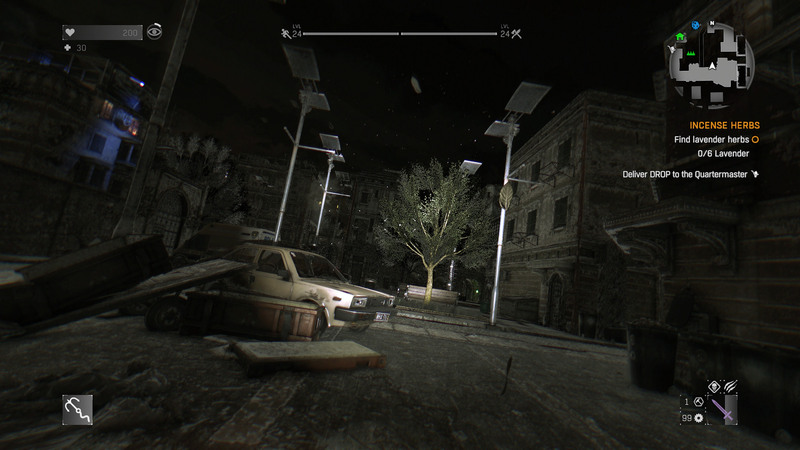 Techland is no stranger to the survival horror genre. Originally releasing the two games in the now-forgotten Dead Island series, they were slated to develop Dead Island 2, before handing it off to Yager. 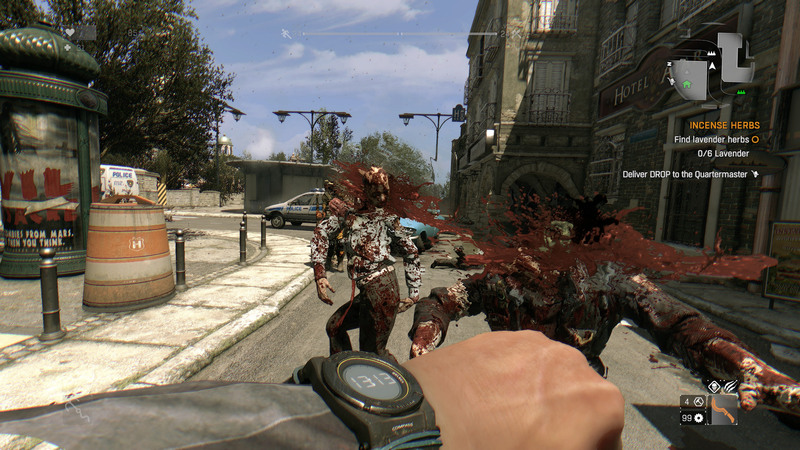 Though the wave of zombie games has come and gone, with an impressive fourteen zombie-themed games being released in both 2009 and 2011, Techland still saw fit to push ahead with Dying Light. The question remains as thus: is the game alive and kicking, or has it shambled into the streets, unaware of the abandoned streets it now finds itself in? What happens to humanity when faced with the prospect of almost certain annihilation? 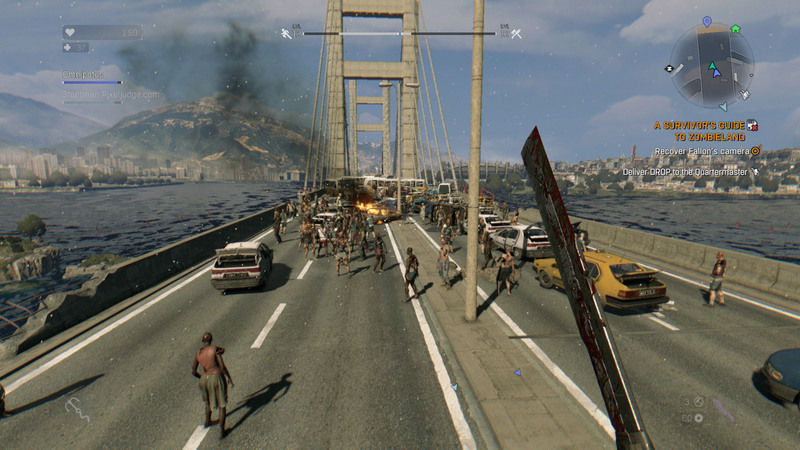 This is not a question exclusive to Dying Light in particular, but is represented in zombie games as a whole. How do people react when they are forced into situations of extreme survival? 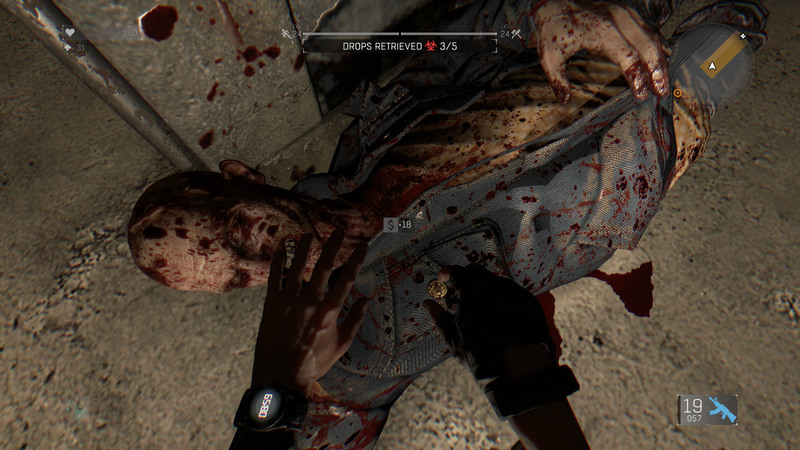 In Left 4 Dead, we find that normal citizens become extremely efficient and wisecracking killing machines. 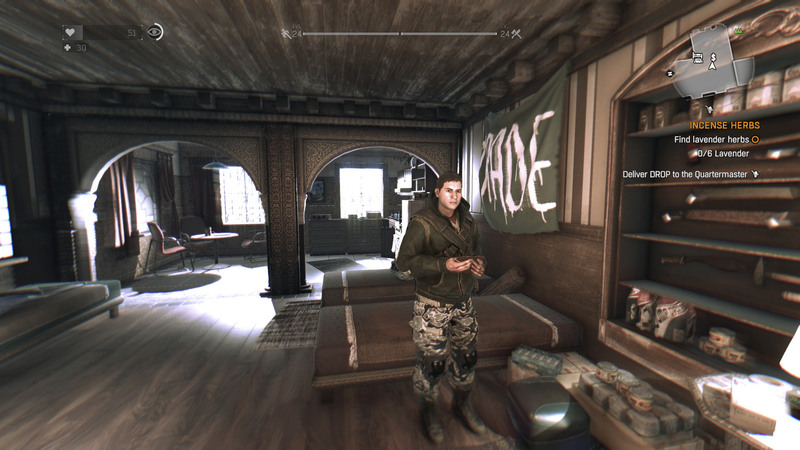 In DayZ, we find that most people online aren’t particularly nice, which isn’t surprising. 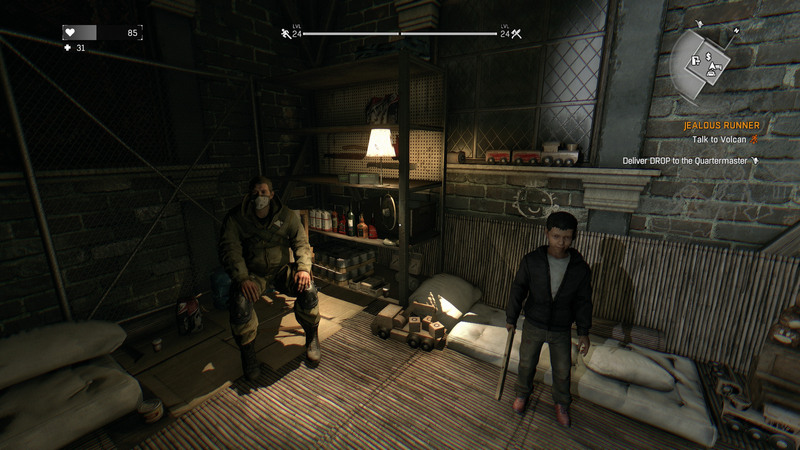 Dying Light, on the other hand, gives us survivors trapped in a city. 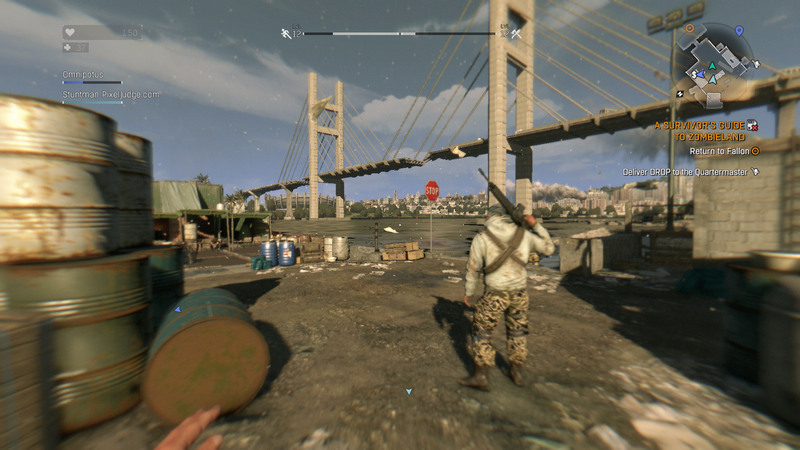 Stepping into the role of one Kyle Crane, you are a hired gun employed by the Global Relief Effort, a humanitarian aid organization dedicated to supporting the people of Harran at any cost. Literally airdropped along with some supplies, you’re nearly immediately infected and almost have your legs broken by a gang of thugs, before friendlier survivors drag your useless body back to The Tower. 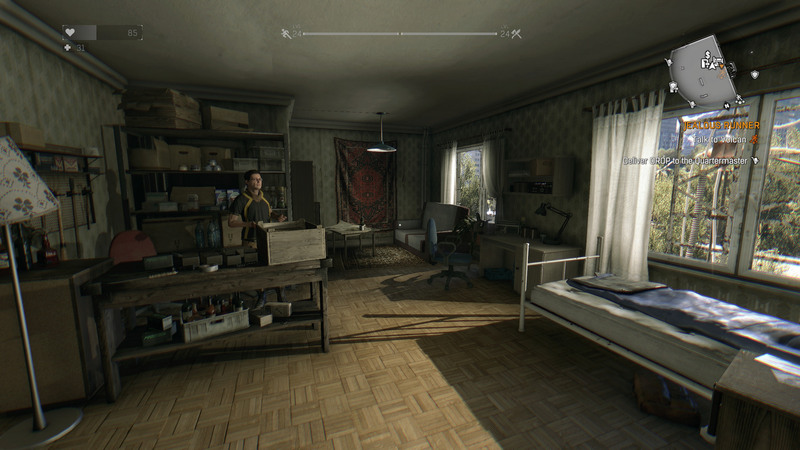 This “Tower” is packed full of survivors hiding from the streets, and it’s where you’ll home in the first half of the game. Just another night out on the town with the guys. With no escape in sight, they imprison themselves behind high walls, topped with barbed wire and flanked with burly guards. They look to the skies, watching for supplies and the faintest hope of rescue to come, even as they well know that it won’t be. The sidequests they assign you are detailed, and can span the entirety of both parts of the city, as you attempt to retrieve mementos, or deliver time-limited medicine. These sidequests really do a fantastic job of fleshing the characters you share the city with, making it feel more alive, as come to be trusted by more and more of the residents still left behind. As far as the game’s plot is concerned, you’ve been dropped into the city to retrieve a “file” from Suleiman, a former employee of the GRE, and now going by the name of “Rais”. Rais has collected the city’s sadists in an attempted to amass the world’s largest force of mentally-deficient meatheads, and has seen fit to outfit them with some of the best weapons around. Quests and the plot will brush you up against Rais’s thugs, and these encounters are universally dangerous. Regardless, you spend time doing errands and otherwise making the city a better place to survive for everyone throughout the course of the game. It’s a bit of a shame, then, that even with the great characters that make up the populace, that the actors in the plot itself, along with most of the plot’s content is so stale. Nearly none of the characters, save yourself and Jade, go through any major character development, and it definitely feels as though certain characters were killed off just to have them out of the way. People are introduced and forgotten about almost immediately, and it feels as though the game is almost burdened with actors to a point where you couldn’t care about some of them, even if you wanted to. 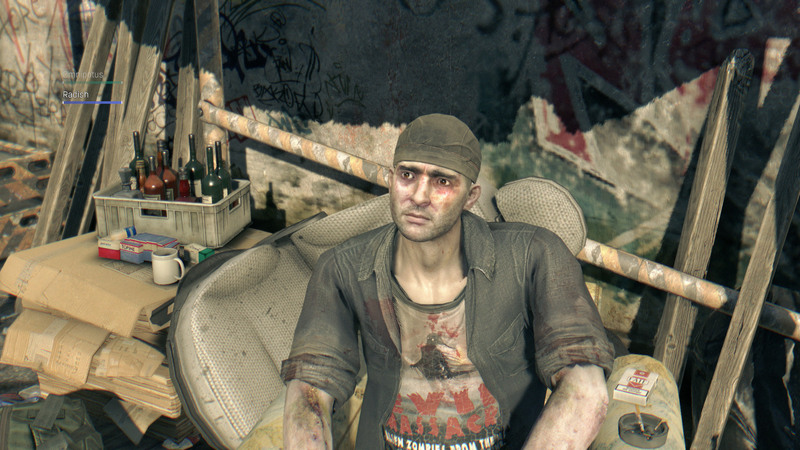 It feels strange, that in a game that focuses so intently on the human experience within the apocalypse that the characters are just presented so poorly. A fool and his money are easily parted, especially when dealing with the undead. None of the events that take place in the game’s main story arc are particularly noteworthy, either. While there were some unexpected moments, in the grand scheme of “zombie game plots,” you expect someone to sacrifice themselves to defeat a large horde of zombies, you expect there to be people who turn to evil in a time of great despair, you expect to see the fraying human mind come apart as their world collapses. It’s simply all been done before, and the game’s plot suffers because of it. While the plot may be disappointing, special care has been given to making the setting as engaging as possible. Harran, while not a real city, takes place in what appears to be modern-day Turkey, with two sections: the Old City and the Slums. Starting off in the slums, you’re slowly introduced to the game and the free running, with nothing proving to be too challenging. Even in an apocalypse, someone's got to make money somehow. 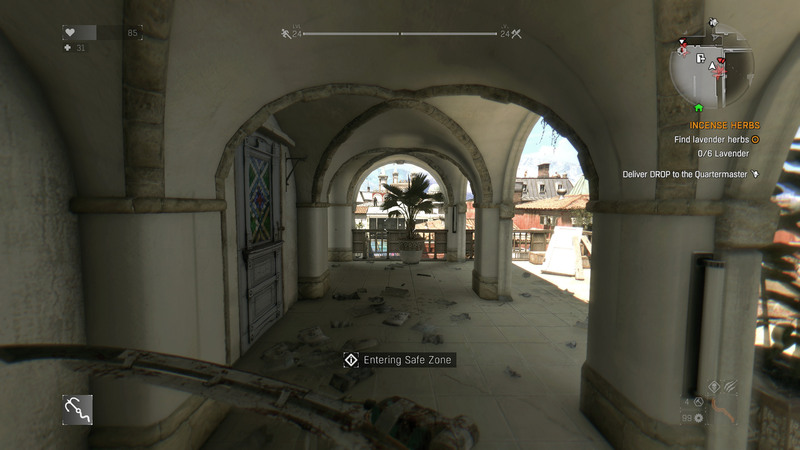 The slums is also where you’ll find a majority of the game’s content, whether that’s in the form of random encounters, quests, or citizens, scattered about buildings and hiding in a few different safe zones. 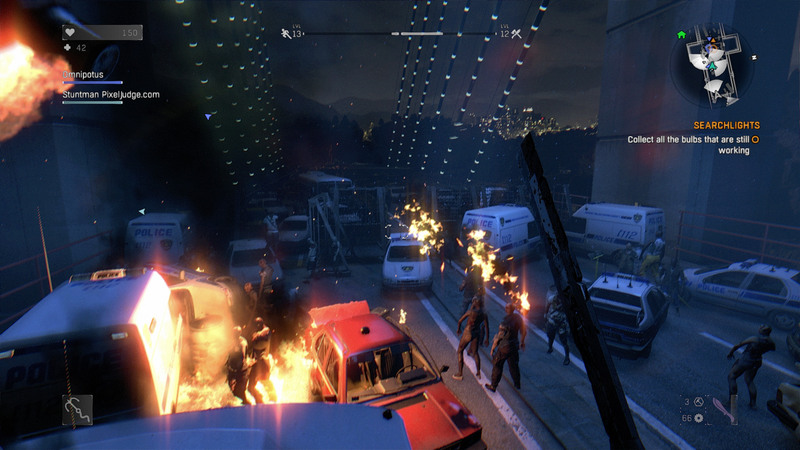 The slums themselves are full of decrepit apartments, with poorly constructed roofs of plywood, trash and abandoned cars everywhere in the streets, and utterly packed with zombies. Clearly hit hardest by the epidemic, there are artifacts of survivors everywhere, from books and food strewn about forgotten rooms, to upended bags of clothes near the burning wreck of a car. ‘Travel the world’ they said, ‘meet new and friendly people’, they said. 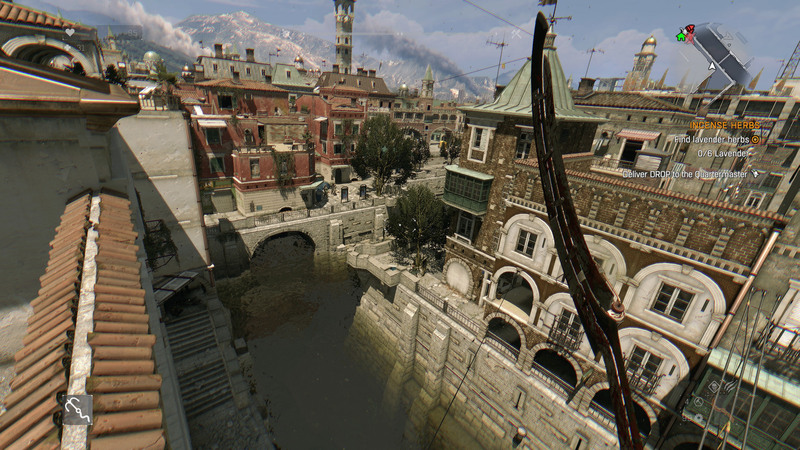 That’s not to say that the Old City hasn’t also suffered in the outbreak, but it’s in noticeably better shape. Gorgeous red accented by the off-whites of stone, while clock towers and university steeples attempt to pierce the sky. 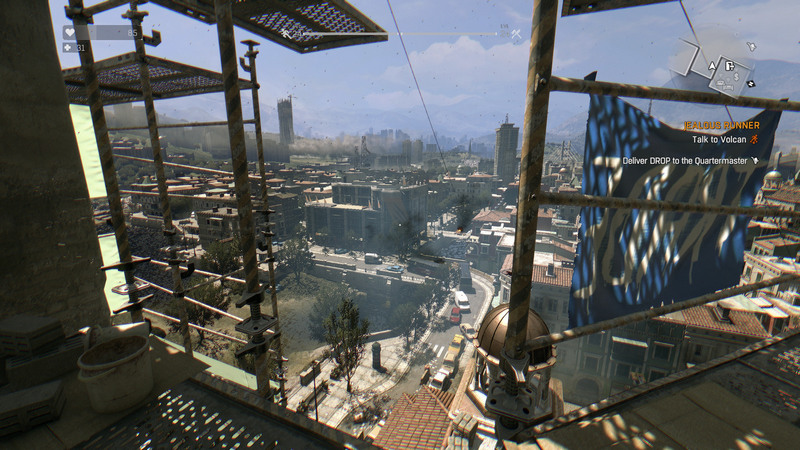 The free running element is equally elegant, where once you could rely on trash piles and shoddy construction to guide you across the buildings, here you slide along zip lines and thick wires running between buildings. Safe houses are different as well. In the slums, they’d be basketball courts, old radio stations, junkyards, or shantytowns, but in the Old City, they’re universities, high-class restaurants, and rooftop parlors. There’s also considerably fewer people in the Old City as well. As the outbreak began there, my guess is that over time, the survivor’s numbers were whittled away by the likes of Rais’s goons and the more aggressive varieties of undead. 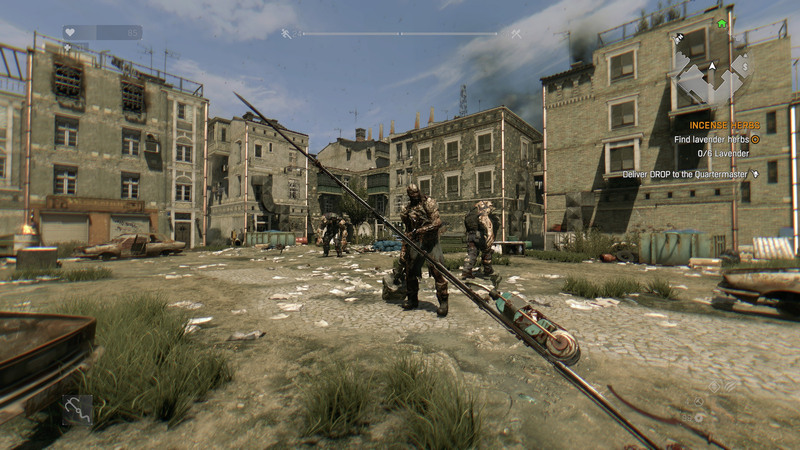 Even you, with your neverending supply of weaponry and firearms, need to stay on your guard in the Old City, as spending more than a few minutes on the ground means you’ll attract a lot of unnecessary attention, from both common and uncommon infected. If, by chance, you’ve chosen to stick it out on the streets, hacking your way through endless hordes of infected, at the very least, the combat is as equally fantastic as the world you’re navigating. 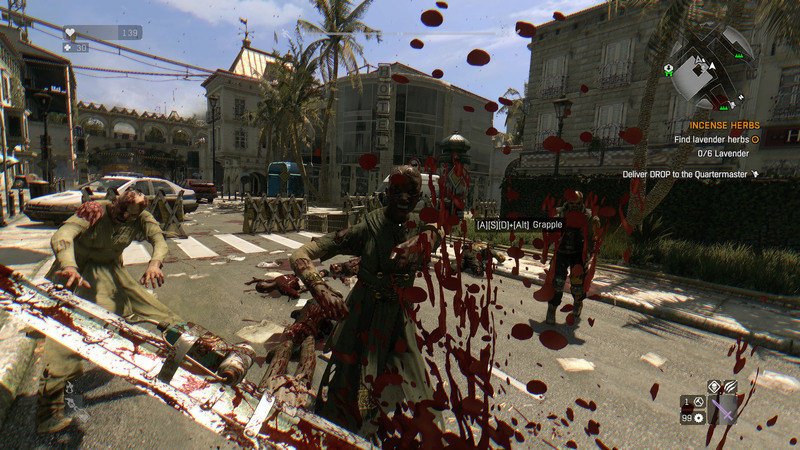 Weapons stagger, bleed, dismember, and otherwise bludgeon zombies in a very visceral fashion. They maneuver as well as you’d expect a broken electrified water pipe would, and there’s always the brief moments of panic as you wind yourself beating back the increasingly terrifying hordes of undead. 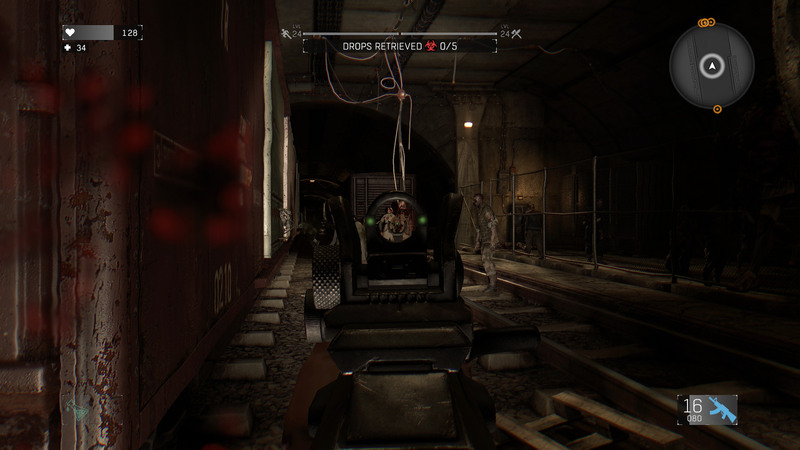 Movement with guns, however, feels oddly floaty, as though you were gliding across the ground when aiming down the sights. At the very least, you’ll only ever want to use firearms when engaging Rais’s army, as noise attracts the undead quite rapidly. 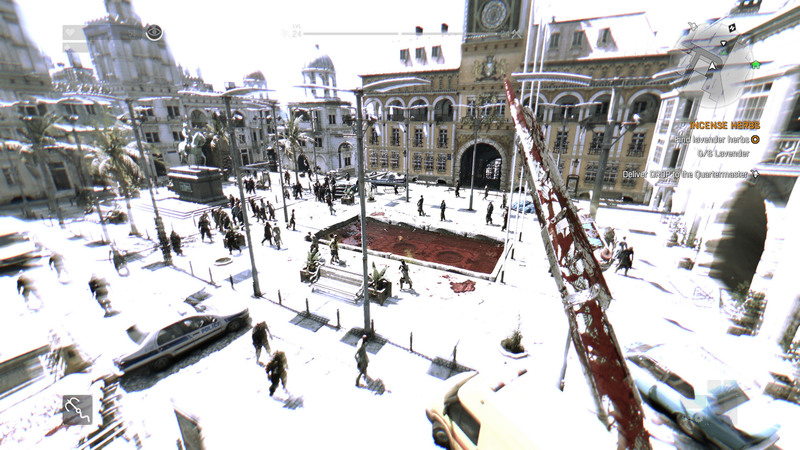 And here we see Harran's Sunday crowd, out enjoying the nice weather. Your freerunning abilities come into play in combat too, as through leveling up, you’re granted the ability to vault over the biters, dropkick them, take them down from behind immediately, do a quick kill on ones knocked to the ground, and generally hop like a madman around them. There’s something immensely satisfying in doing a running dropkick at an unaware zombie on a rooftop, and then peer over as he craters on the pavement some six stories below. Not only is your agility fun, but obviously useful later in the game, as you dance around unfriendly survivors, hoping to get a few kicks in to turn the fight in your favor. Crafting weapons and items from loot is what transforms the combat into an experimentation field, where you’re given liberty to test out the mobility, crafted effects, and overall damaging powers of the weapons you make. 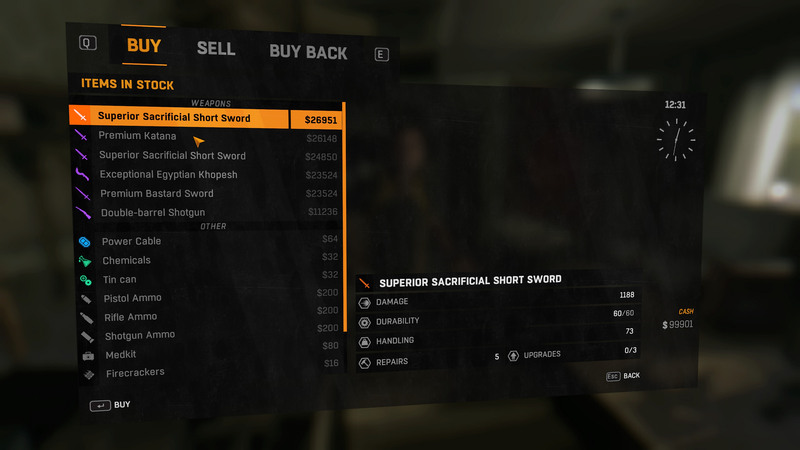 There is junk everywhere in Harran, and because you’re a forward-thinking man, you see no better use than to strap as many nails and razor blades to a brick hammer as possible, for example. 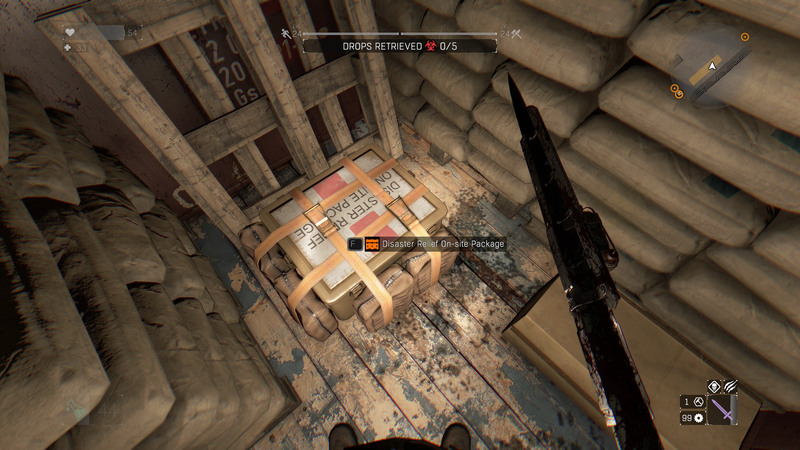 You’ll end up looting quite a lot of otherwise worthless items throughout the game, and it’s refreshing to see it implemented so well. Leveling up itself is a fairly simple affair. Every surface you climb on nets you agility experience, which in turn leads to more free running abilities, and every damaging hit you do to a zombie gets you power experience, which, obviously, leads to more combat skills. Survivor experience is gained primarily through quests, random encounters, and story missions, and leads a large number of craftable items, trap usage, and increased weapon durability, to name a few. Award winner for ‘Man's Least Best Friend’. 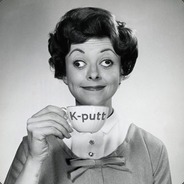 There is a penalty for dying, however, where you lose a set amount of survivor experience gained so far. 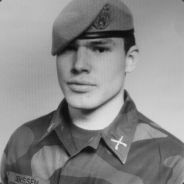 I was around survivor level 15 when I finished the game, and a single death cost me 2300 experience, which was more than some quests could give me. 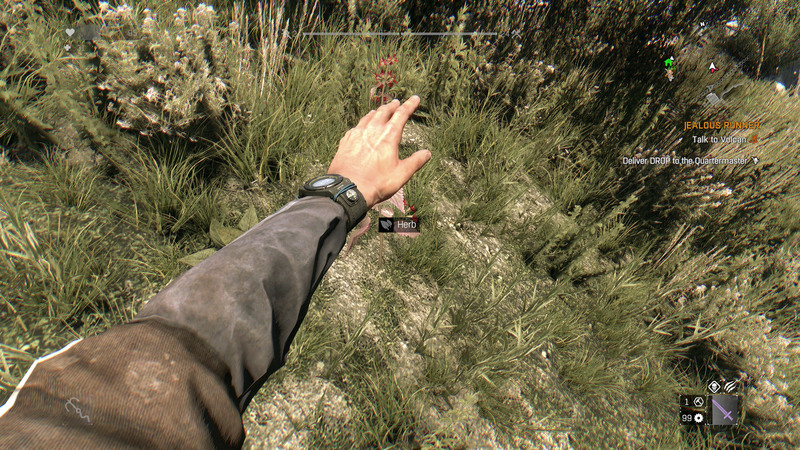 You’ll never lose an overall level from dying too much, but it can make continued leveling of the survivor tree a pain if you’re not able to stay alive long enough. Thankfully, there is an “easy” way to acquire a lot of experience overall: surviving the night outside safe zones. Survivor experience gained is based on the total time you’re able to survive away from the protective rays of UV lights adorning safe zones, and overall power and agility experience is doubled for every action. This can lead to some very rapid leveling, if you’re willing to take the risk. What then, you ask, is the risk in spending time outside at night? 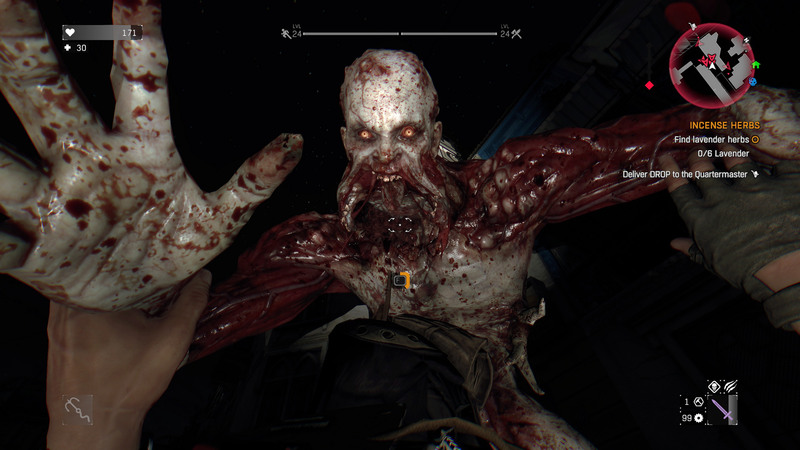 For starters, the regular zombies are far more aggressive, visibility is dramatically reduced, and perhaps most terrifyingly of all are the “Volatiles.” Extremely muscular and aggressive, they can kill you in five or so melee hits, while you have to hit them ten times or more with any high-damage weapon. Your best tool against them is a portable UV flashlight, but that only works for short periods at a time, so you’re left frantically scrambling over rooftops and automobile husks as you attempt to find a safe zone anywhere close by. It’s like CPR, just not. 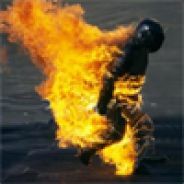 Avoiding detection involves liberal use of “Survivor Sense,” an ability that highlights objectives, loot items, and at night, skeletal outlines of volatiles, and their labored breathing. Jumps must be made carefully, and even engaging in combat at night is dangerous, as the sounds can attract larger crowds of the undead, and with it, the volatiles. 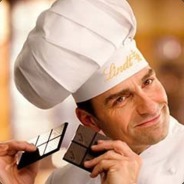 In truth, through my nearly 24 hours spent playing the game, I killed exactly two volatiles, because they proved to be such a challenge. Lastly, both the graphics and the sound in the game make it a wonder to behold. Paper fragments and dust motes flit through the air, weighed down by the heavy sun above, as a pounding electro soundtrack weaves in and out of the environment. You can see across the entire district in both the slums and the Old City, and it’s a wonder to be able to explore everything within your field of vision. 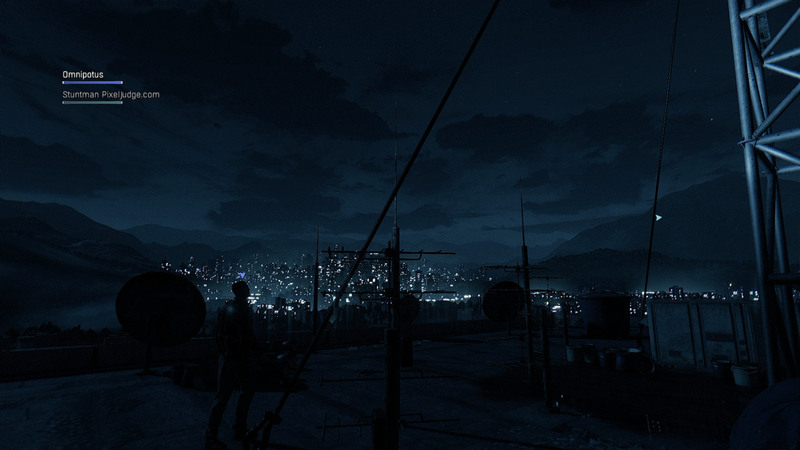 The lighting and particle effects definitely accented the settings, and even in the impoverished slums, you could still make out splotches of color several hundred meters away. 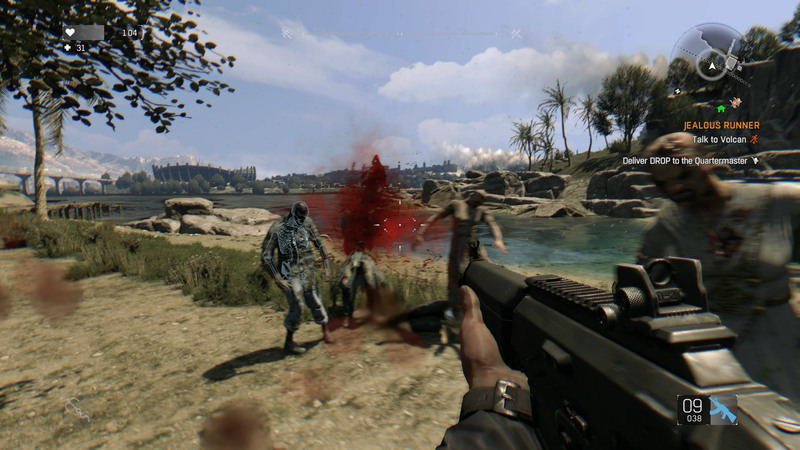 Technically and visually impressive, this is an open-world zombie game done excellently. Combat and crafting are fresh, and the ability to free run anywhere means that the game is as open as you make it. While the story does the characters and genre a poor job of representation, sidequests and the ability to explore the city make up for it somewhat. Bloody Good Fun: Game mechanics make the game fun to play and keep playing. 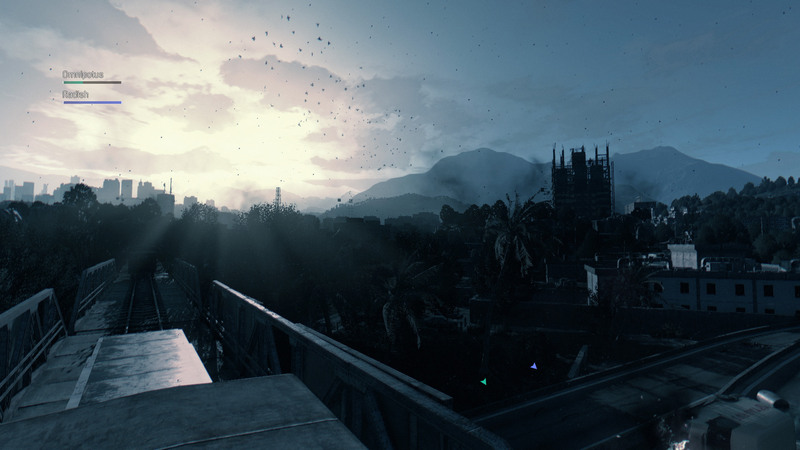 The City Speaks: Harran has been realized as a believable, living entity. Humanization: People feel and react as real people would in a zombie apocalypse, both good and evil. 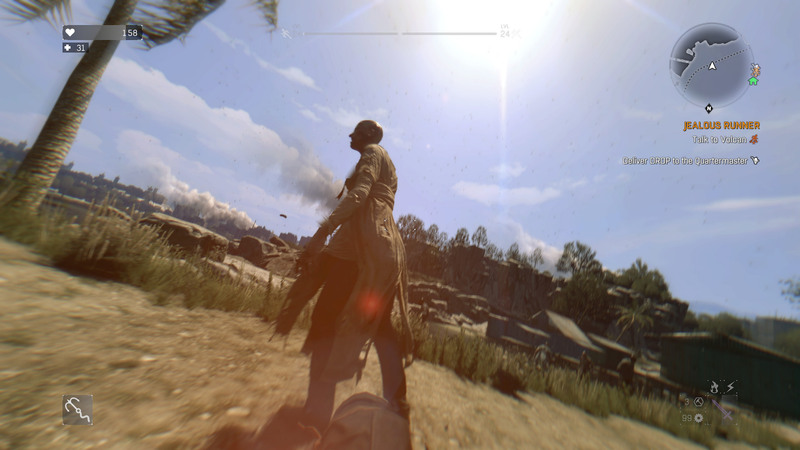 Apocalyptic Beauty: The game looks outstanding, even on outdated hardware. Errand Boy: Some missions are nothing more than cleverly disguised fetch quests. 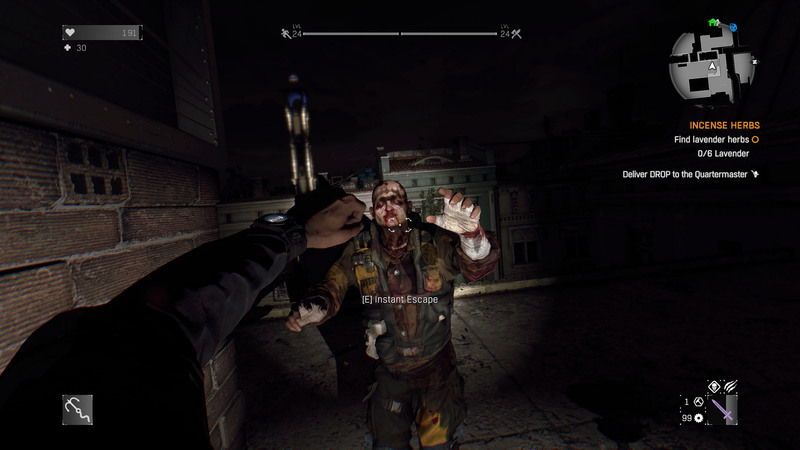 Necessary Evil: The story is a standard, dull affair for the zombie game genre. Cardboard Cutouts: The characters in the plot are boring, and not particularly memorable. 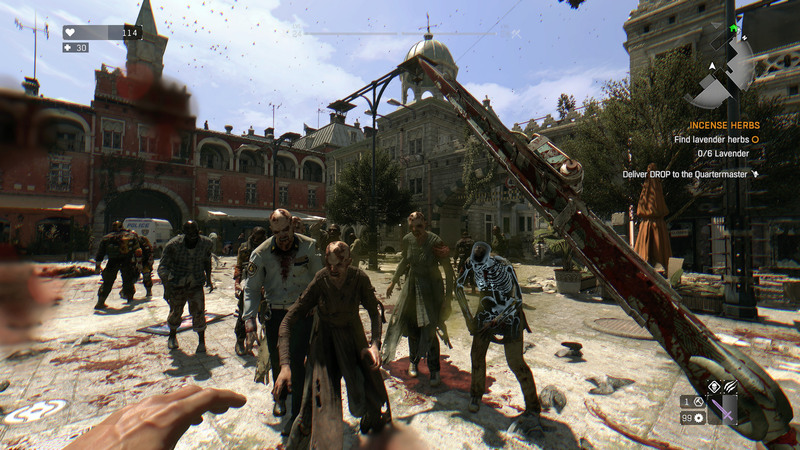 Simply the most enjoyable open-world zombie game out today. 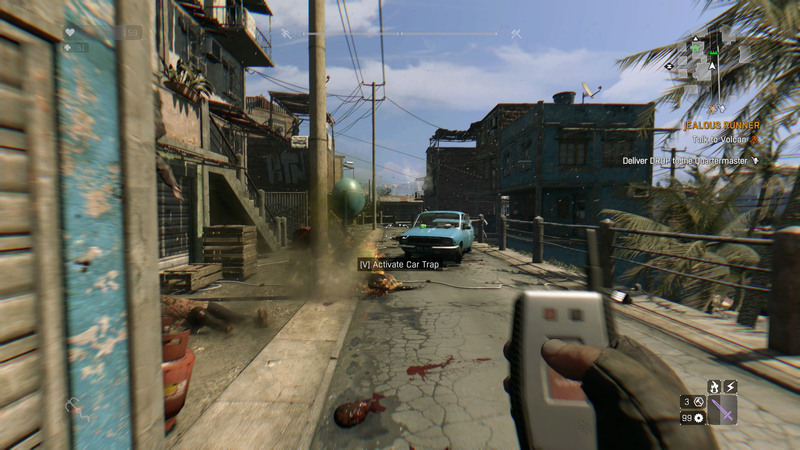 It is impossible to talk about Dying Light without comparing it to its spiritual predecessor – Dead Island. The same developer, similar setting, familiar premise. Though this time around you are bestowed with much more freedom to move around the environment with the special skills of parkour. This makes not only moving around the environment more enjoyable but contributes to fights, or rather the ability to avoid or flee from them. For example by running on your enemies’ heads. So much more fun. And the free movement element makes the game so much better overall. 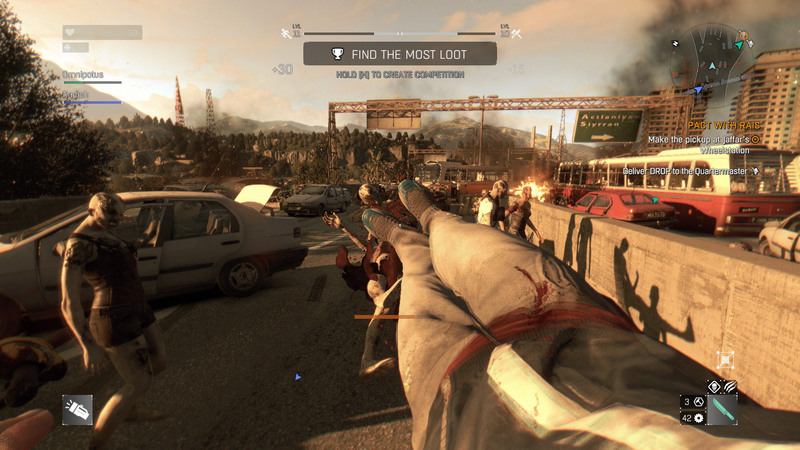 Whereas I found Dead Island quite boring after a number of hours, Dying Light kept me entertained just jumping from zombie to zombie, from rooftop to rooftop. To double the fun, add a pinch of 4-player Co-Op (or asynchronous competitive 4v1 multiplayer) sprinkled with challenges being pitch on every corner, be it most enemies killed or fastest to the destination. Visually the game looks very good. 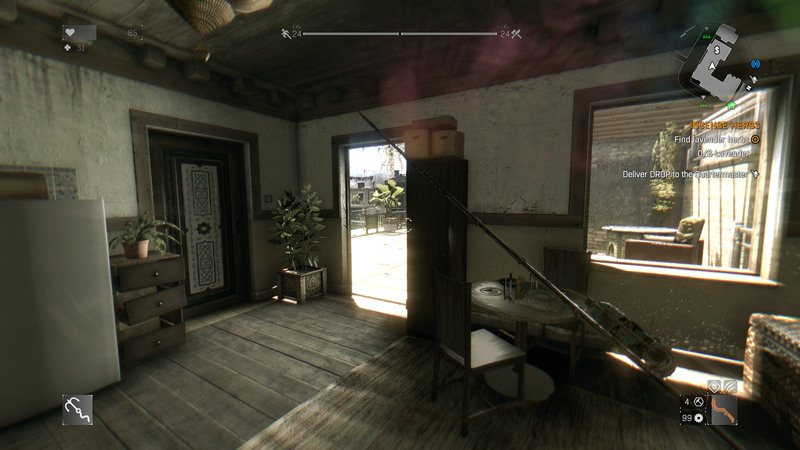 Not ground-breaking Crysis-killer good but good enough for you to stop and marvel at the vistas or inspect the details in the environment from time to time. The same applies to the NPCs. Particularly important people and zombies are modelled with attention to detail and great animations which do a lot to keep you immersed in the virtual world. 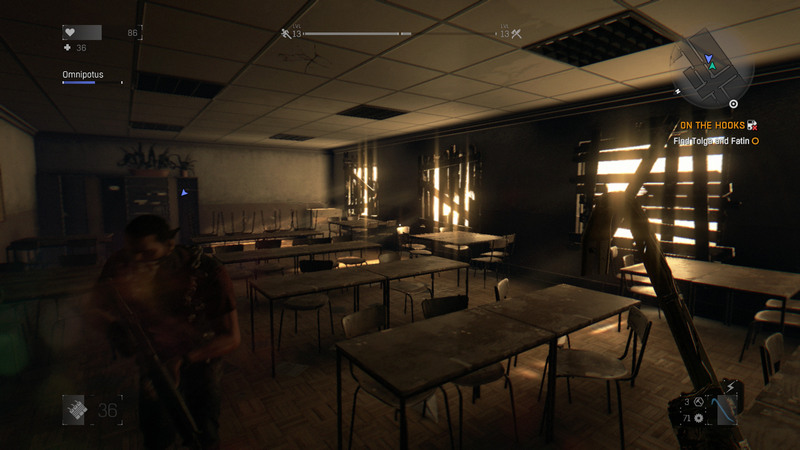 The whole atmosphere during the day is quite “apocalyptically” pleasant while really tense during the night, particularly if you play the “Be the Zombie” multiplayer mode. 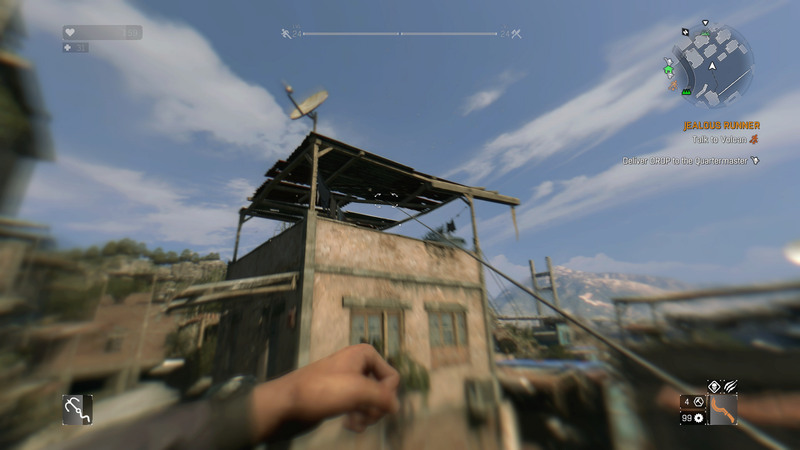 Dying Light, even though very good, is not perfect. It hit some performance snags at launch and even though mostly resolved by now, it’s not completely bug free yet. The story is a bit cliché but still believable and, most importantly, enjoyable. But to get to the story you will have to muster your willpower from lots of distractions like loot drops, picking fights, exploring or just running around to see if you can make your run as smooth as possible. 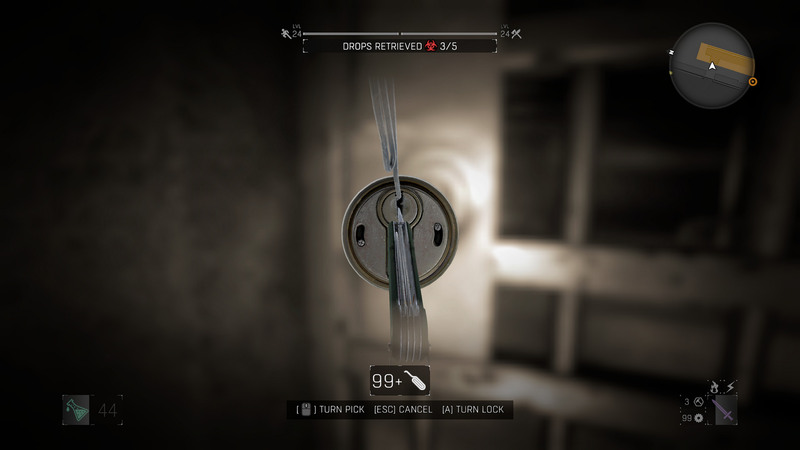 The game, with the experience of your fingers and unlocked skill points becomes smoother without artificial boundaries to cripple you for challenging yet accessible gameplay. This might be a questionable design choice but when you get past them you won’t give another thought about it. 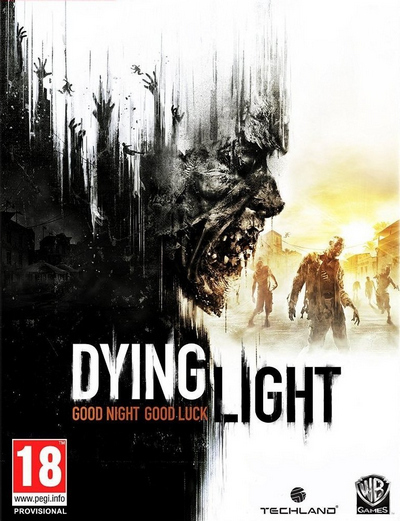 If you liked Dead Island’s fighting mechanics, still aren’t tired of zombies and love free running in games, I can’t recommend you enough to try Dying Light. 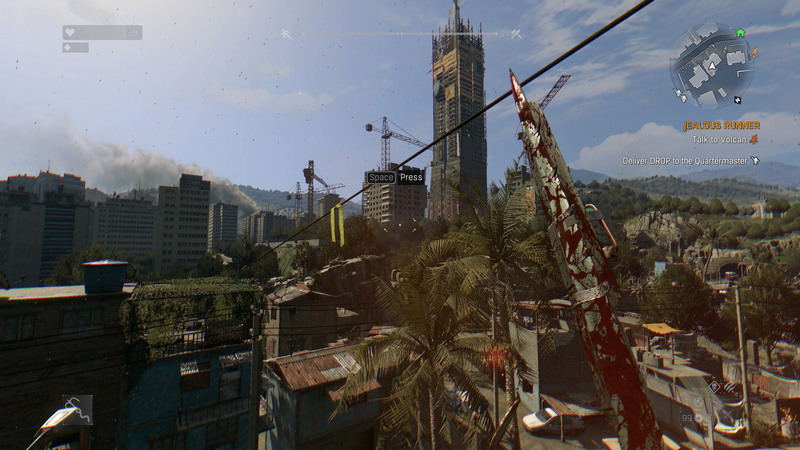 Dying Light can be described shortly and precisely as a much better Dead Island. 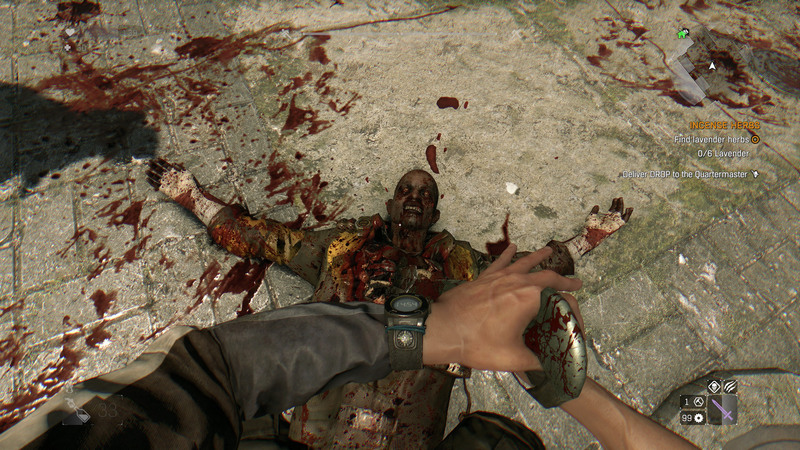 Techland has clearly learned a few lessons from their previous zombie games. Moving the action into a dense urban setting reduces the need for vehicles, streamlining the experience and making the world feel “alive”. 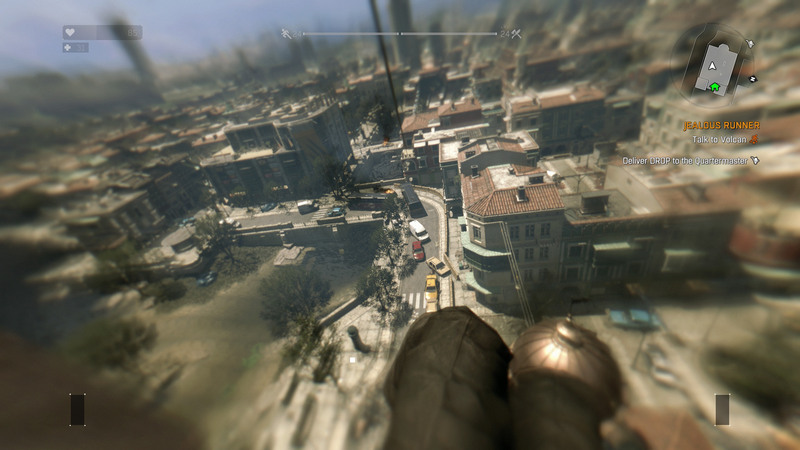 Parkour mechanics and the grappling hook improve horizontal and vertical mobility to the point where vehicles would have been more of a hindrance than a benefit. 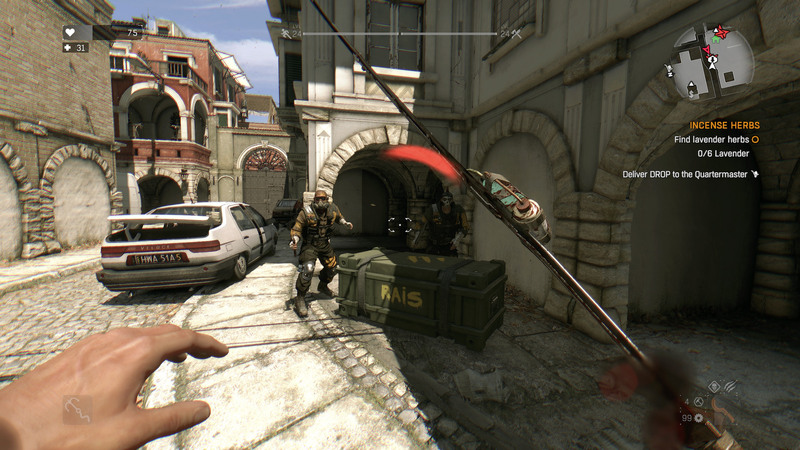 Melee weapons are the main focus, with many tiers and upgrades available from the lowest to the highest level. A few firearms are present, but their usefulness is limited. All these options are present to help you survive and thrive in a city filled with zombies and hostile survivors. 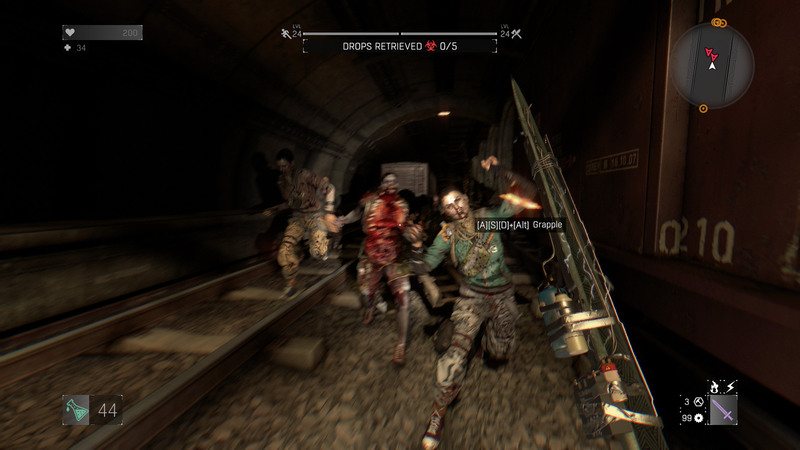 Most zombies are slow and not very dangerous during the day, yet at first taking on even a few of them will be a hard task. While your improved fighting skills and gear will deal with the masses like butter eventually, the story will make things harder and more varied. 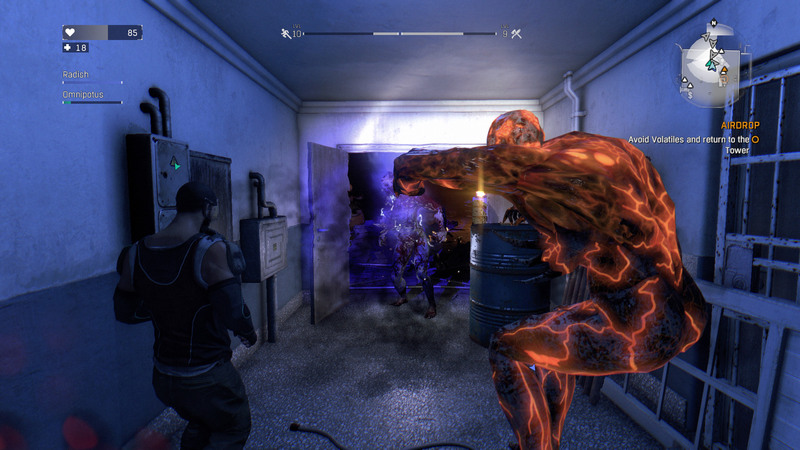 Dying Light’s “boomer” is the most annoying of the bunch – not very noticeable, easy to kill, but it dies with an explosion that results in an instadeath if you’re a few meters away. While death is not very expensive, losing momentum and experience points can get annoying. Things get much harder after the sun sets. 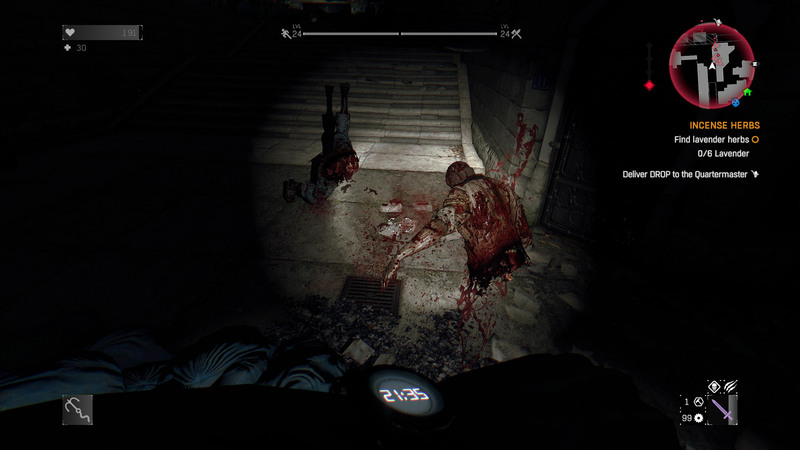 At night, ordinary zombies become slightly stronger and more aggressive. 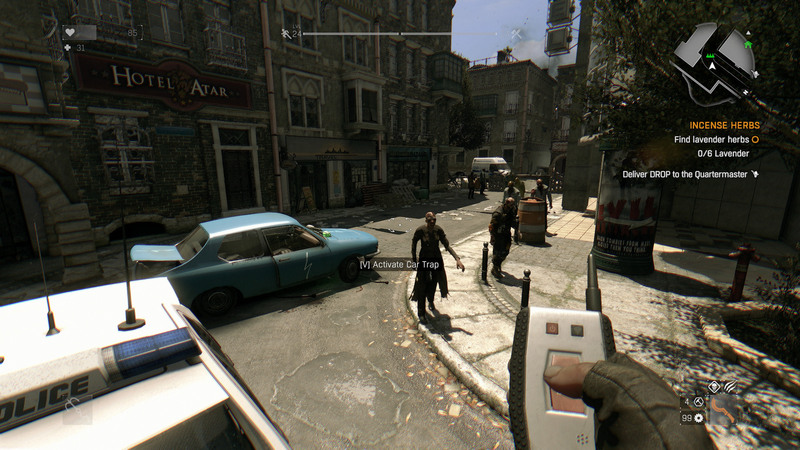 At the same time, very fast and deadly Volatiles appear on the streets. You have no hope to outrun them straight on, only vertical movement and tight spaces can increase the gap. Fighting them never becomes easy either. Even at the highest skill level with the best weapons, it takes multiple precise hits to kill one, and they dish out considerable damage to you as well. Good luck landing those hits in the dark at a fast target, while its friends are attacking you from all sides. It is still possible, but never trivial. 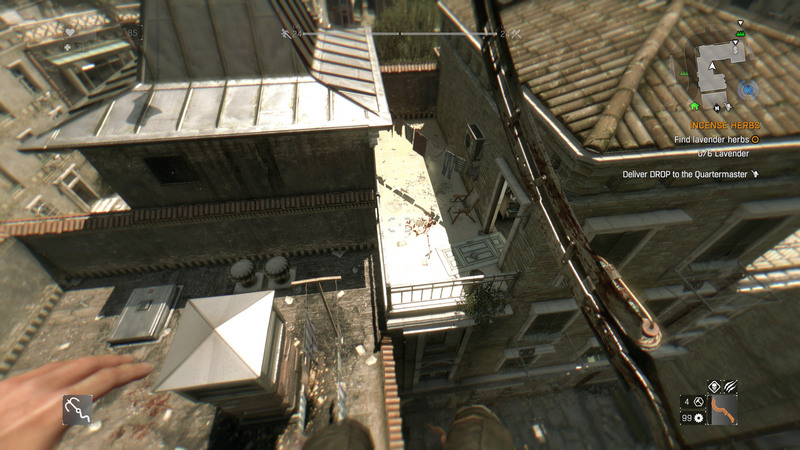 On the technical side, Dying Light manages to impress. You have free reign over a large, detailed and almost seamless city. 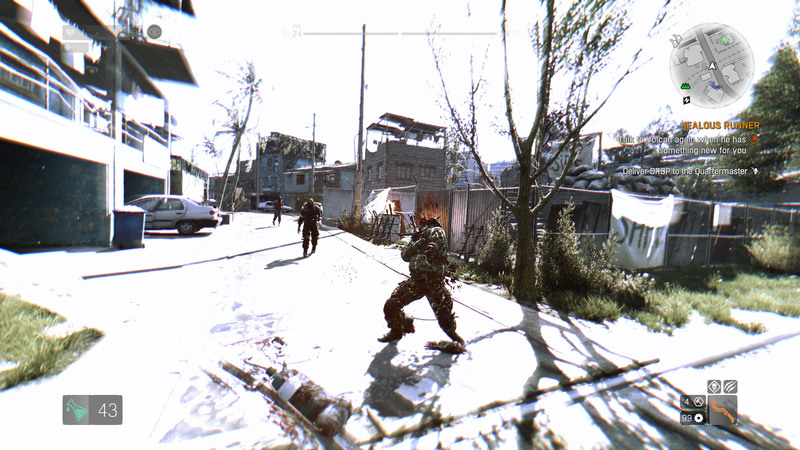 While the textures can be blurry, the lighting works very well. The game has clearly benefited a lot from not having to run on consoles from 2005. The storyline is quite predictable and boring, with very few interesting moments. Fortunately, there are loads of unique and interesting side missions to spice things up. 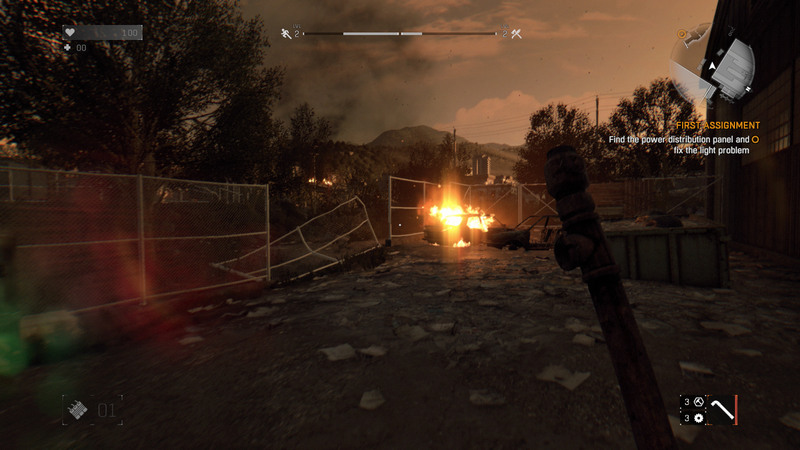 Overall, Dying Light is a very good single player zombie game with enjoyable gameplay.